Do you run your emotions? Or do they run you? Stop and think about this. 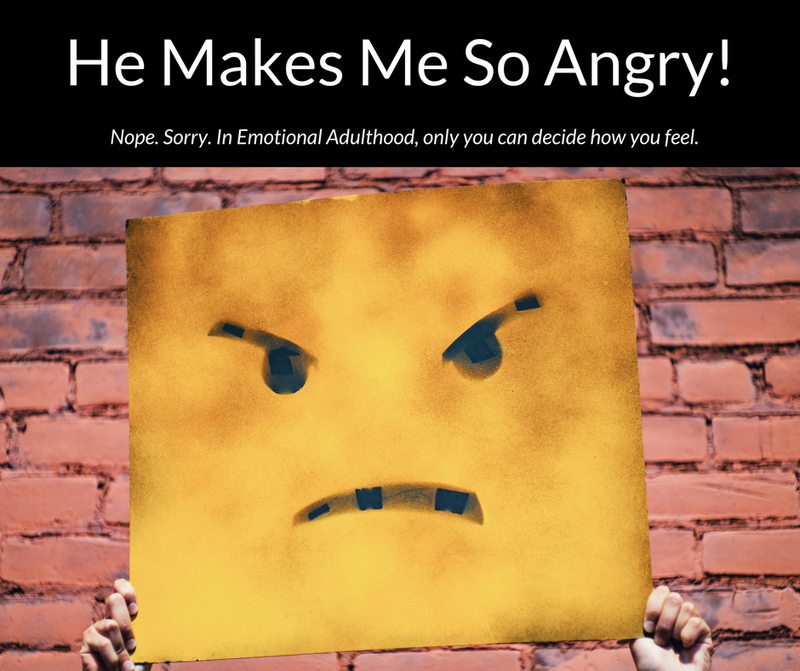 We’ve talked about emotional adulthood and how one of the key tenants of it is taking full responsibility for our emotional life, really getting it that we always have a choice in how we’re feeling. I want you to extend this idea to times when someone makes you so angry. Consider this, in the act of throwing our anger, hurt or frustration at the person we believe caused it, we are not taking responsibly for our own feelings. You can tell this because we’re believing that we can only feel better when the other person takes some type of action (apologizes, makes amends, etc). You’re handing off management of your feelings to someone else and, as hard as it is to accept, you are in charge of your emotional wellbeing. It’s so frustrating when we realize that we are ALWAYS responsible for our emotions, that we feel the way we’re feeling because of how we’re choosing to think about what happened. I get it. But I promise you, there is more freedom and happiness to be found when you choose to live your life from emotional adulthood. When you take full ownership of your feelings and taking care of them. The key is in responding vs. reacting. So what can you do? It wasn’t cool that he was late for the 7th time. The key is in responding vs. reacting. Reacting happens without a lot of thought, it feels instinctual, though it’s more of a habit. There is a space in responding where you consciously observe your own reactions, wants and feelings and then choose how you want to respond. You can still get angry, you can still give him a piece of your mind, the difference is you know the other person is NOT causing your behavior. You don’t like their actions, good. So you get to own your behavior and how you respond in this moment. Not blame him for how you’re handling the situation. That is responding. That is emotional adulthood.